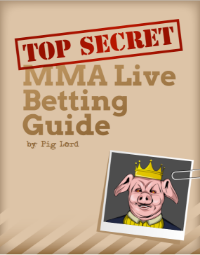 There’s nothing I love more than two nights of UFC betting action in a row. Here are my breakdowns of the fights that I’m looking to play on the TUF Finale 28 and UFC Fight Night 142 cards. Surging prospect, Alex Perez, takes on one of the best flyweights of all time in Joseph Benavidez. I think it’s fair to call this a ‘crossroads fight’ as both competitors are at different stages in their careers. An All-American wrestler, Perez entered the UFC with the reputation of a ferocious grappler. However, his hands looked sharper than ever in his most recent performance: a one round dismantlement of Jose “Shorty” Torres. It’s worth mentioning Torres has never been the most defensively sound fighter – but this doesn’t take anything away from Perez. Now getting a step up in competition, it remains to be seen if Perez will be able to perform against against a world class opponent. Benavidez also comes from a wrestling background but is happy to strike. Now 34-years-of-age and possibly slowing down, I’m interested to see how much left is in the tank for the Team Alpha Male fighter. In his last contest against a pure striker in Sergio Pettis, Benavidez looked like he’d lost a step athletically but still came extremely close to winning on the scorecards. On the feet, Benavidez is an effective striker but I’ve never considered him as a brilliant technician. He’s scrappy and throws his body weight behind his shots, but that usually works for him. I can understand why people are siding with the more proven fighter in Benavidez, but every dog has its day. If the grappling is a wash, I think Perez has the cleaner boxing and this could prove to be the difference here. I have some small action on Alex Perez at -120 and will consider adding if he becomes an underdog again. I’ve got to be honest – I’ve never watched The Ultimate Fighter but I had a few sharp friends inform me about this match-up. I checked out some of Justin Frazier’s regional footage as well his fights within the TUF house and I’m not overly impressed. A large, jiggly heavyweight, Frazier throws bombs on the feet but mainly likes to muscle his opponents to the mat and land ground strikes. I don’t think he’s the most skilled fighter in the world, but he’s a big powerful guy – and that can carry you pretty far at heavyweight. Spain isn’t a country known for its MMA scene, but Juan Espino looks like a solid combatant. A decorated grappler in Europe, Espino is now training at American Top Team where he’s presumably making improvements, even at 38-years-of-age. While his striking is still a question mark, the Spaniard looks to be the vastly superior positional grappler and he also has a significant cardio edge. I think these two factors should make Espino a much bigger favorite. I know it’s a heavyweight fight and one gigantic haymaker from Frazier can end the fight, but Juan Espino appears to have the better skill set so I had no hesitation playing him at -110. I’m not going to dwell on this one for too long. We have an M-1 champion against a regional Australian fighter and the footage demonstrates this is as much of a mismatch as the lines indicate (if not more). Alex Gorgees is an okay striker offensively, but has typical tall man defense and leaves his chin high. On the other hand, Ismagulov has been fighting a much higher level of competition and looks polished everywhere. While I couldn’t find any grappling footage of Gorgees, his body type indicates he might be terrible at stuffing takedowns and Ismagulov is a legitimate threat with his wrestling and top game. Gorgees might be able to hang in the UFC, but Ismagulov already looks ready for ranked opposition. I’m trying to stay away from paying juice on favorites, but Damir Ismagulov at -450 makes sense. Sodiq Yusuff looked incredible in his last fight against a high level opponent in Mike Davis. An athletic and explosive striker, Yusuff is accurate with his punches and can maintain a pace for three rounds. Money has been pouring in on him all week and for the parlay bettors, it’s easy to see why. Facing Yusuff will be Suman Mokhtarian, who is primarily known for his appearance in the TUF house where he looked uninspiring. His muay thai is serviceable, but he poses the greatest threat with his submissions. While finishing a regional opponent with a twister submission is impressive, I’m not sure he’s going to pull off anything like that in the UFC. I don’t think Mokhtarian is much of a wrestler and will probably struggle to take Yusuff down. Most likely, Yusuff keeps the fight standing and starches the Australian at some point. I have Sodiq Yusuff in a parlay at -400 but the line is still getting pounded. I think Yusuff inside the distance most likely cashes at -215. Despite taking a beating by combat sambo specialist, Magomed Ankalaev, the tough but unrefined Paul Craig managed to score a hail mary submission in the dying seconds of the fight. Craig has never developed into a fundamentally sound striker. His kicking technique is okay but he lacks the ability to keep opponents at bay and is wide open defensively. I don’t think Craig’s significant reach advantage will play much of a factor against Crute, who is the vastly superior boxer. Craig has a dangerous guard game with his long limbs, but I’m not sold on him as a complete MMA grappler. He’s admitted himself that he lacks the wrestling to capitalize on his jiu-jitsu skills. Jim Crute is a bit hittable, but throws solid boxing combinations with power in his hands. He has a wrestling background and when taking the fight to the mat, advances positions quickly and doesn’t like to play around in the guard of his opponents. This could be a crucial factor in this fight – although Crute would probably be wise to avoid the ground completely. So long as Crute’s cardio holds up and he doesn’t inexplicably dive into a choke, I think he should be able to box his way to victory here. I have some action on Jim Crute at -175 as I cap him closer to -250 (the current line is approaching there as of Tuesday). In case you hadn’t noticed, Martin is on a rampage since moving to welterweight. I cashed on him as a +170 underdog in his last fight with Ryan La Flare and I’m really high on his potential as a contender in this new division. While coming from a grappling background, Martin’s striking has improved leaps and bounds in recent years. His straight right is his best punch and it’s thrown with surgical precision. Listening to his recent interviews, it seems like he’s in a really good place both professionally and personally. Martin seems brimming with confidence and I don’t think he’ll have any stage fright taking on Jake Matthews as the away fighter. Also looking vastly improved since moving up from lightweight, Matthews appears to have a high ceiling. Although his performance against Bojan Velickovic was underwhelming, he really stepped up against Chinese power puncher, Li Jingliang. Many people (myself included) thought Jingliang’s aggressive, boxing-centric approach would be too much for the young Australian – but this wasn’t the case. Jingliang is a defensive liability and his reckless aggression cost him, although one must also credit Matthews for a solid striking performance. Stylistically, I’m not sure how to break this one down. Both fighters are strong grapplers and good athletes, but I just love Martin’s straight punches and unwavering self belief. Keep giving me underdog odds (+120) on Tony Rocco Martin and I’ll keep betting him. In his pre-UFC footage, Tai Tuivasa looked like an unrefined brawler that won fights thanks to raw power and animalistic savagery. Tuivasa seems like a born fighter and he’ll always be aggressive – but I believe he’s cleaned up his technique somewhat since entering the UFC. He can catch opponents with counters, is dangerous at range and in the clinch with his elbows, and is managing his energy expenditure more intelligently. While mangling lower level heavyweights like Rashad Coulter and Cyril Asker, his bout with fading champion, Andrei Arlovski, was extremely close. Junior Dos Santos is comparable to Arlovski, except his boxing is much cleaner and his conditioning is much better. This is a gigantic step up in competition for Tuivasa and I’m not sure he’s ready. When Dos Santos has a footwork advantage over his opponents, it’s evident. Deploying a stick and move game plan against Blagoi Ivanov and Ben Rothwell, I think this is how the Brazilian former champion will approach this contest. I guarantee Dos Santos won’t want to risk a 50/50 exchange where he could get caught with a hammer. Tuivasa is immensely dangerous in the first round, but his output drops afterwards. Dos Santos has good cardio for a heavyweight and should take over if he’s able to withstand the early storm. 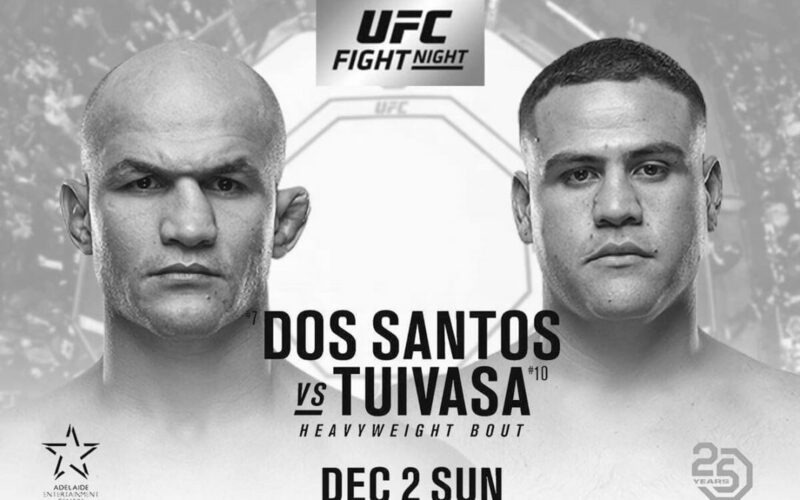 I have some action on Junior Dos Santos at -142 and will be looking to add if I get a reasonable price after round one. If you’re from the UK, you can bet on Tyson Fury to defeat Deontay Wilder at +2500 (25/1) with Mr. Green. This offer is for new accounts only!